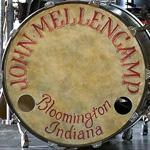 John Mellencamp Community > MELLENCAMP.COM ANNOUNCEMENTS > Announcements & Updates > 2011 European Tour Announced! UK presale has begun. Please read the SHOW INFO links closely for details as we get them. For the first time in 19 years, John Mellencamp is set to tour the UK and Europe with dates set for late June and July 2011. The No Better Than This tour is designed as a uniquely formatted "evening with," and brings Mellencamp's music to theatre-sized venues, a rare opportunity to experience one of America's most iconic songwriters and performers in an intimate setting, highlighting all phases of his artistry. The new No Better Than This Tour dates will take in Denmark, Germany, Netherlands, Ireland, UK, France, Italy, Switzerland and tickets for the UK dates go on sale Friday 18th March at 9AM via www.gigtsandtours.com and 24 hr cc hotline 0844 811 0051. The tour will feature both classic material associated with the Rock and Roll Hall of Fame inductee's 35+ year long career as well as new music from No Better Than This, released last year by Rounder Records and produced by T Bone Burnett. The album has garnered great critical acclaim with Q stating, "Veteran blue-collar songsmith goes back to basics... with Mellencamp relishing his role as grizzled troubadour steeped in Rootsy traditions of America's rural south." It was recorded in three historic locations in the American South: Savannah's First African Baptist Church, Sun Studio in Memphis and Room 414 of San Antonio's Gunter Hotel where Robert Johnson recorded in 1936. The sessions were documented on a 55-year-old mono tape recorder using just one vintage microphone at each location. Rolling Stone's review of the album noted, "Mellencamp has never sounded looser or easier on a record," suggesting the artist was "channeling spirits and stepping into period styles. They fit him perfectly." The Americana Music Association recently honored Mellencamp with its Lifetime Achievement Award for Songwriting, presented by Rosanne Cash. As a reflection of the diversity of styles and material that have been a hallmark of Mellencamp's eclectic career, the concerts are formatted into three segments. These showcase John Mellencamp in an acoustic context, fronting a small combo recalling blues/country and rockabilly roots and with his full rock band. Musicians backing Mellencamp include Michael Wanchic (guitar), Andy York (guitar), Miriam Sturm (violin), John Gunnell (electric and upright bass), Dane Clark (drums and percussion) and Troye Kinnett (accordion/keyboards). Of special note is the fact that the tour's "opening act," is a documentary film by Kurt Markus entitled It's About You. Shot on Super8 film over the course of 2009's Bob Dylan-John Mellencamp-Willie Nelson tour of minor league baseball stadiums, it chronicles the creation of No Better Than This while serving as a cinematic ‘think piece' on the state of the country at the end of the first decade of the 21st Century. The film had its theatrical premiere at this year's SXSW® Film Festival in Austin, Texas. Markus, whose still work has put him in the front ranks of contemporary American photographers, has been cited for his extraordinary vision of his work documenting the American West and is the recipient of Life Magazine's Alfred Eisenstaedt Photography Award. Ticket holders are urged to get to their respective No Better Than This Tour venues on time to be on hand for the film's start. Mellencamp noted, "I'm very excited to have the opportunity at this time in my life to go on tour and present these songs in this manner." Fans should to log on to www.mellencamp.com for the most up-to-date concert and ticket on-sale information. John Mellencamp's career in music has spanned more than 35 years during which time he transitioned from pre-fab pop idol to one of the most highly regarded mature songwriters of a generation. Mellencamp fell in love with music at an early age and was fronting a soul band in his native Indiana by the time he was 14. He would go on to release 26 albums with domestic sales exceeding 40 million units. He has been nominated for 13 Grammys, was recipient of Billboard's Century Award, ASCAP Foundation's Champion Award, The Woody Guthrie Award, Q's Classic Songwriter Award and was inducted into the Rock and Roll Hall of Fame. Mellencamp has amassed 22 Top 40 hits and holds the record for the most tracks by a solo artist to hit #1 on the Hot Mainstream Rock Tracks Chart. The social activism that is reflected in his songs was one of the key catalysts that launched Farm Aid, the concert series and organization that has addressed the struggle of American family farmers for more than 25 years. The unique instrumentation of his band and overall approach is widely credited with being the forbear of the Americana/No Depression genre of rural-inflected music. Mellencamp is an accomplished painter whose work has been the focus of several one-man gallery exhibitions as well as a joint showing with Miles Davis. He has been working, in collaboration with Stephen King, on play with music entitled Ghost Brothers of Darkland County that will be stages in the spring of 2012 at Atlanta's Alliance Theate. The European tour is of note to North American fans as it gives a unique opportunity to see John in a far flung place performing at some of the most historic venues in modern music. Tickets to the shows begin going on sale this week. Many shows will have our Premium Ticket Package offered and some shows will have presale ticket opportunities. Please watch the TOUR grid for updated links and information along with the NEWS page and the local venue & ticket seller for further ticket offering details. Re: 2011 European Tour Announced! Hi Tony - John's Clearwater show was without a doubt the best show of the 5 times I've seen him. You announced his European Tour schedule. Do you know if there will be any more U.S. appearances after the European leg of the tour. I'm already saving up for a road trip if so. It is worth it if I can see the show again. FYI, I was the one who invited my "first" boyfriend of 40 years ago, who I had not seen is almost as long, to fly down from New York to go to the show. He was so blown away by the show that he and his 26 yr old son are going to John's 3/28 "talk" appearance in NYC. You helped hook me up with tickets from a girl in Sarasota who could not go to the show - seats were 7th row! - and I am sending a T-Shirt to her as a thank-you. I can't thank you enough for all your help. The 40-year gap between New York "Jim" and I is "gone" thanks to John Mellencamp! July 3rd is still a TBA date in this european tour, could it be somewhere in Spain? Thousands of fans would be really pleased to have John among us! The TBA show will be in Great Britain. Spain doesn't look like it will make the schedule this time I am sorry to report. Hi Tony - John's Clearwater show was without a doubt the best show of the 5 times I've seen him. You announced his European Tour schedule. Do you know if there will be any more U.S. appearances after the European leg of the tour. I'm already saving up for a road trip if so. Nothing is set in stone as of now for after Europe. If John continues on after that leg it sounds like the tour would head to Australia and New Zealand next, again BIG MAYBE at this point. We can't rule out another lap in the US before the end of the year as John is having a great time playing this show. But the time on the road adds up and wears on folks so you just can't count on anything at this point. have been waiting for this news for years! and now the dates are confirmed, I dont know what to say except thanks to everyone who was involved in this decision to tour europe! 3 shows in germany, one in the netherlands, hammersmith in london, even one swiss show...this upcoming summer will be special! I hope the show will be the same as the american, with the new songs and not a greatest hits tour! again thanks a lot for not forgetting us over here! Buahhh! it looks like Spain doesn't count to John's manager at all! Not this time, not any time. Fans in Spain thought it would be possible to see Mellencamp at Azena Rock Festival 10th edition, late in june, but we've been really disappointed with the full tour announcement. Any way, I've got my tickets to see one my all-time favourite musician in London on july 2nd. Thanks for coming to Europe, John!!! YESSSSSSSSSSSSSSSS. So glad that John is comming to Europe, to Holland even. I have been waiting for this for years. I have seen all the great bands and John only twice. I was even considering to visit the Beale street festival. Now I can plan three or more shows foor less money. Well I was excited when the tour was announced, but once I saw the ticket prices, I realised that JM is taking his fans for a ride, and expecting people to be loyal after a 19 year wait and pay through the nose. Well here is one fan who won't be spending any more money on him , CD , tour or anything. and hope he plays a lot of his songs he made those last 19 years then it will be another night to remember.